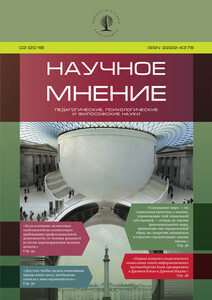 The paper considers the issues of learning chemical and oil and gas vocabulary by students of a technical university. The article analyses available course books of English for students specialising in chemistry or the oil and gas field. It gives some recommendations for a complex of exercises that will help to memorise chemical terminology, names of elements and compounds, and pronunciation rules for chemical formulas. To learn them effectively, the authors suggest using associative links, making mindmaps, and memorising comic songs and rhymes with names of chemical elements and compounds. 1. Vasil’yeva P. A., Rogova I. S., Trubitsina O. I. Lingvisticheskiy i metodicheskiy aspekty obucheniya studentov tekhnicheskogo vuza terminologicheskoy leksike na angliyskom yazyke (na materiale neftegazovogo dela) // Nauchnoe mnenie. SPb. : S.-Peterb. univer. konsortsium, 2015. № 12. S. 122–127. 2. 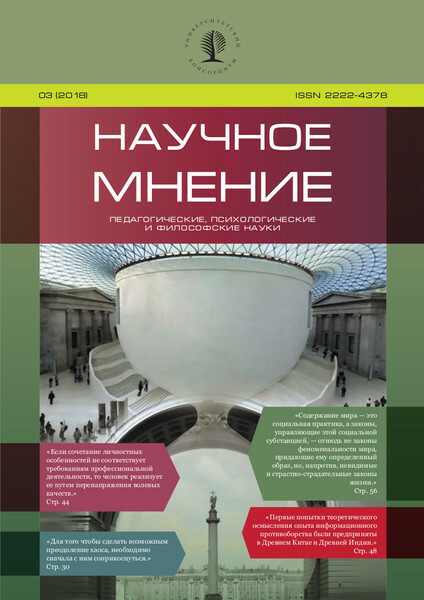 Deyeva A. I. Spetsifika metaforicheskogo fragmenta russkoy neftegazovoy terminosistemy // Vestnik Tomskogo gosudarstvennogo universiteta, 2014. № 12. S. 15–21. gos. universitet, 2016. S. 121–126. 4. Adsorption versus absorption [Elektronnyi resurs]. URL: http://www4.ac-nancy-metz.fr/physique/ancien_site/CHIM/Chromato01/chromato1.htm (data obrashcheniya: 25.02.2018). 6. The Elements song [Elektronnyi resurs]. URL: http://www.netlore.ru/The_Elements_song (data obrashcheniya: 25.02.2018).